Seaham is a small town on the North Sea coast in County Durham. You will find it just to the south of Sunderland and east of Durham. Formerly known as 'Seaham Harbour', the population is around 22,000. Movie trivia: The town provided locations for the 2000 film Billy Elliot, as well as the opening scene of Alien 3 in 1992. Until 1921, Seaham boasted the largest glass-bottle works in Britain. Londonderry Bottleworks produced up to 20,000 hand-blown bottles each day and S.S. Oakwell known as the "bottleboat" would leave Seaham harbour to deliver its cargo to warehouses in Rotherhithe, returning via Antwerp with silver sand. The vessel sank in 1917 after hitting a German mine at Robin Hood's Bay, claiming four lives. The factory itself was put out of business by competition from more efficient continental producers. 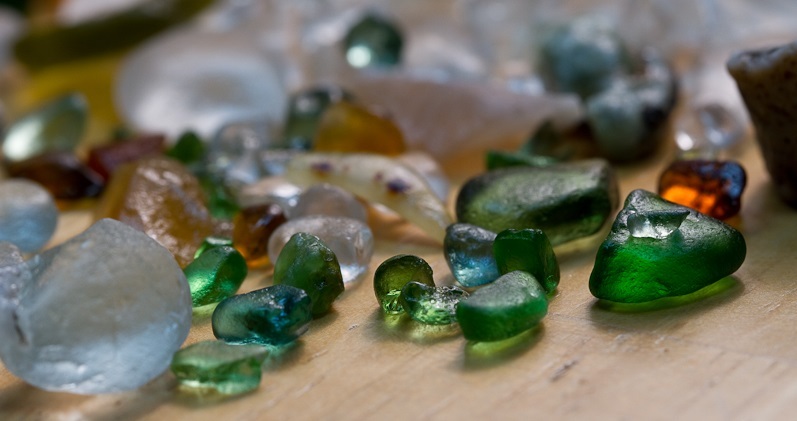 Where Does Seaham Sea Glass Come From? By 1872, John Candlish's Londonderry Bottle Company had six glasshouses at Seaham. At the end of the day, any discarded and waste glass was dumped into the North Sea. After many years of 'surf tumbling' the glass is washed up on Seaham beaches with every tide. Some of the glass is more than a hundred years old, polished smooth by Mother Nature. Of all the beaches I have combed for sea glass, Seaham has the most plentiful supply by a long way. 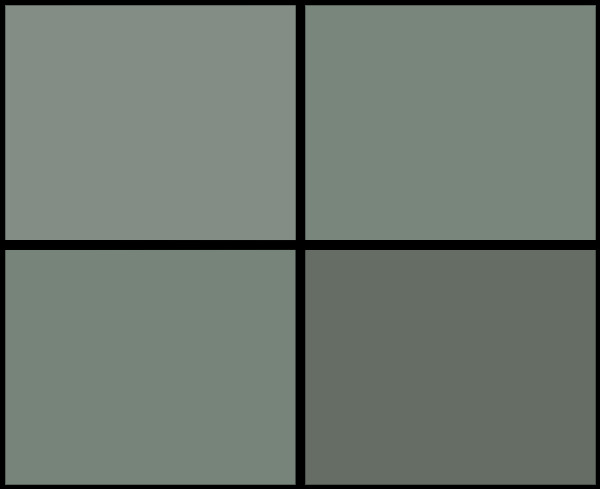 As always, clear and green glass is the most common but I have also found yellow, blue, aqua, turquoise, red and some mixed colors. I'm used to picking up every piece of sea glass I can find, but at Seaham you soon start to leave the smaller pieces and concentrate on the better stuff instead. There is lots of glass in plain sight, but here's my favorite trick; find a pile of shingle, take of the top layer and reveal dozens of glass shards underneath. These will often be small, but you will also find larger pieces and some rare colors too. Most collectors will display their sea glass in vases or jars, but Gavin Hardy has made a fantastic business from his findings. He makes beautiful sea glass jewelry which you can buy from his shop in the town center, or through his website. Gavin was recently featured in BBC's Countryfile TV show and since then, business has gone through the roof! One of his rare finds was this huge green lump. 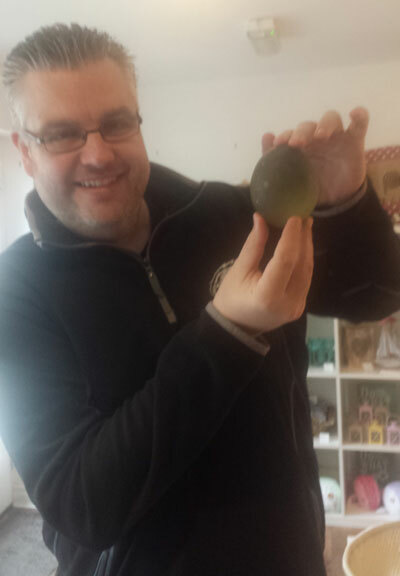 If it's not the biggest piece of sea glass I'll ever hold in my lifetime, I'll be amazed! 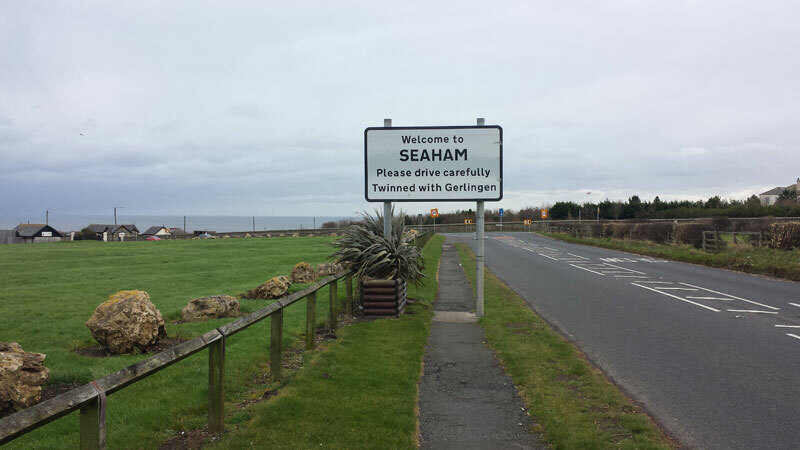 There is a train station in the town and good public transport links, but the easiest way to travel to Seaham - especially during winter months - is by car. 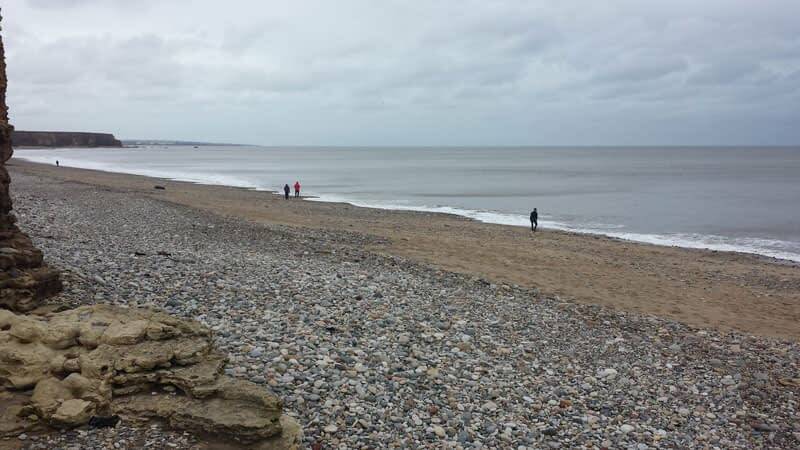 I have found that Seaham Hall Beach is a great spot with plenty of parking and, more importantly, sea glass! If you're using GPS, the post code is: SR7 7AD. 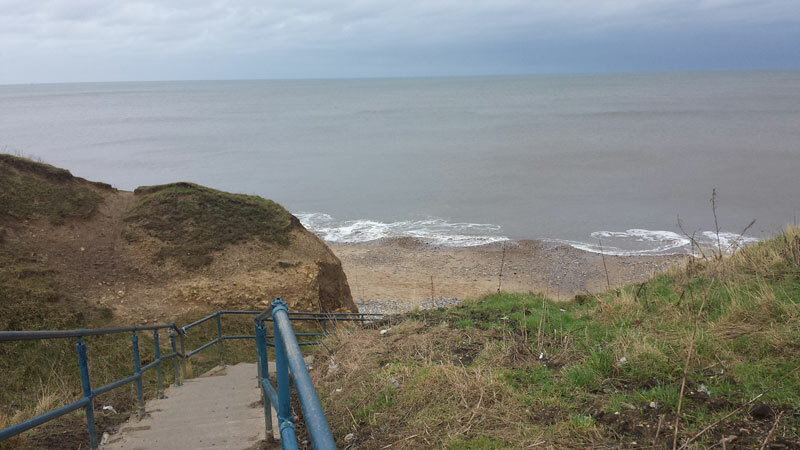 These steps take you from the car park down to the beach. This isn't a problem on the way down, but after a few hours of stooping to pick up sea treasure they can be quite a challenge! WOW! 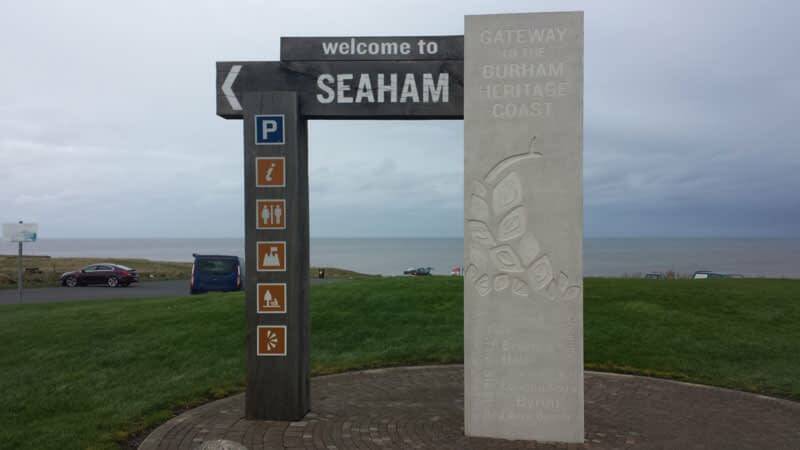 we were fortunate enough to visit Seaham for a third time and it was amazing AGAIN! 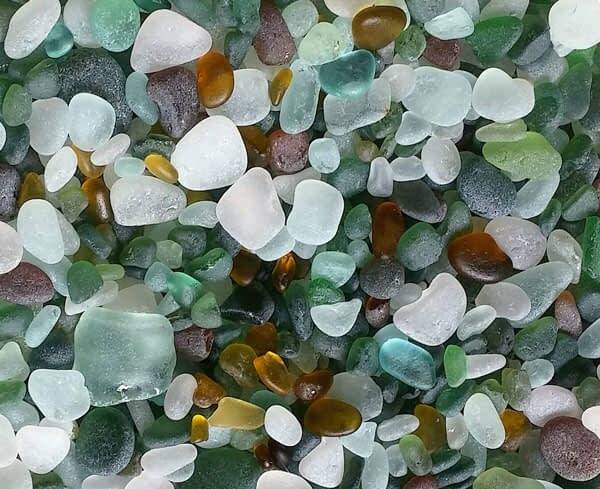 ​Take a look at our recent photos of all the beautiful pieces of sea glass that we found. Can you see the pink sea glass at the top? We had great weather in February. Click here to watch our Seaham 2017 video! As always, we found lots of multi-colored sea glass at Seaham Hall Beach. 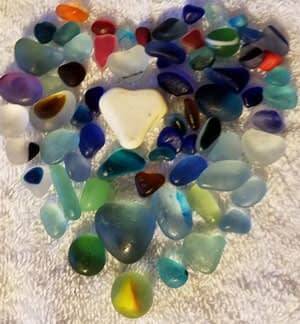 Huge pieces of sea glass, including 3 red! Can't wait to start sorting! We also visited Gavin Hardy from Seaham Waves. I bought a beautiful pair of sea glass earrings - as pretty as you'd expect from one of the best sea glass jewelry makers in the world. Hi Denise, Thank you for checking out our site. 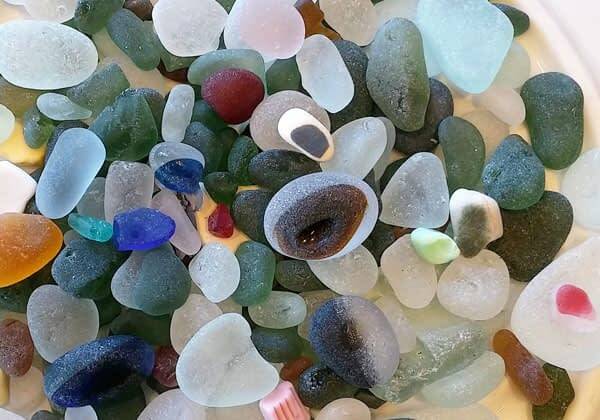 We are working on a few new posts and categories at this very moment and we will post to Beach Lust website as well as Facebook, Instagram and Pinterest in the next couple of days, including our sea glass jewelry. Ooh, fantastic! I would love to see your treasures and hear how you got on. Feel free to send me a Facebook message. Jonna, thanks for sharing. 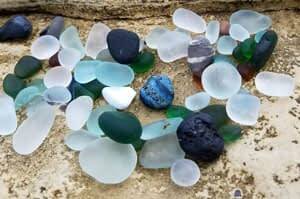 We have been collecting beach glass (sea glass) for many years in the states. Please advise on Seaham. Willing to go this winter I met a local here (Minnesota) she’s been there for glass many times and told me about it. 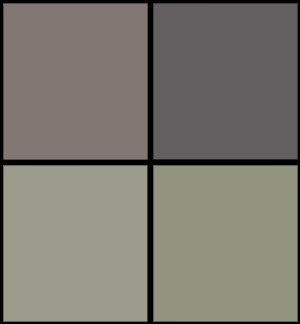 *Will the long trip reward me with lots of beautiful glass and colors? *Not just green? We need an adventure and don’t care about nice weather. *Tell me the most promising time of year if you could estimate. January? February? March? *How many others might be there in winter picking glass? *Do you know if a good reasonably priced place to stay? Kindly, Leann. Hi Leann, Seaham in the winter, is not for everyone which makes it my favorite time of year to hit the beaches (I was there in February and it was very cold, frozen rain in the eyes cold, just be well prepared). 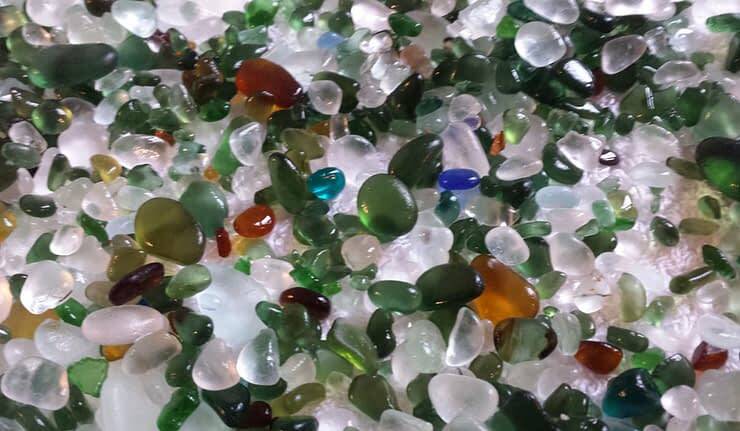 I believe you will be rewarded with the some of the most beautiful sea glass I’ve ever found! Best time to go would be after a storm or high wave action. Near a full moon, or spring tide. a good 2 hours (or more) before the morning low tide (Seaham sea glassers are serious! but friendly) It’s a large beach so I’ve never seen to many people on the beach but maybe a dozen or so. Stop in to visit Gavin at Seaham Waves. Jean, I live in Minnesota collect ‘beach glass’ on the Great Lakes. I have jars full of it. A couple really small red ones mostly greens whites some beautiful blues and a few lavender. My brother lives not far from Port Townsend. How is it for picking there? I have. 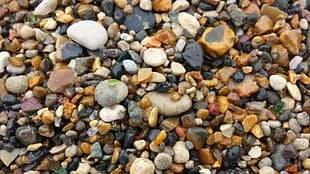 Ben to Port Townsend many times but, not for beach glass (sea glass) if I get there Summer of 2018 what could I expect and exactly where is the beach? Is it worthwhile at this point (10/2017) or slim pickings? Thanks for sharing if you could! We may get to Seaham this winter. You think there is still enough glass treasures? Sounds like it. These are really beautiful pieces! I would love to go there someday, I’ve never been to Europe, and I have heard glass is more plentiful there due to the fact that they don’t rely on plastic as much as the US and that not as many people collect it there. 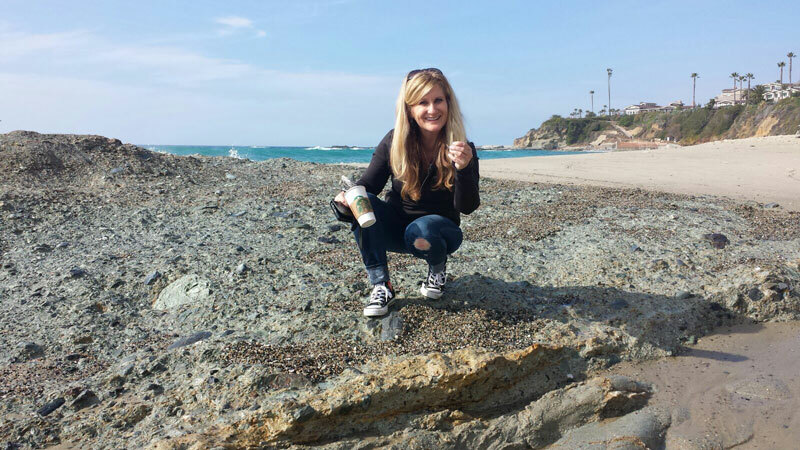 Winter is definitely the best time to look for seaglass! Less people, and lower tides. We went to Maine and hunted in sub-zero temperatures last year! But it was nice because we were the only ones at that particular beach, and found some really neat finds and large pieces too. Hi Ashley, I think I know who your sister is. Italy is definitly on my list for sea glass. My hubby and I were also in Maine last November, wish I had known you were there. It would have been so nice to sea glass hunt together. 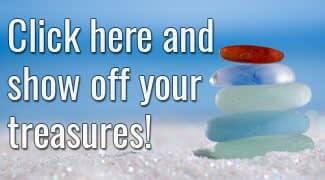 Did you find sea glass? I’d love to see some photos of your treasures. I’ll be posting my finds this week. Oh, and I do hope you get to visit Europe soon.